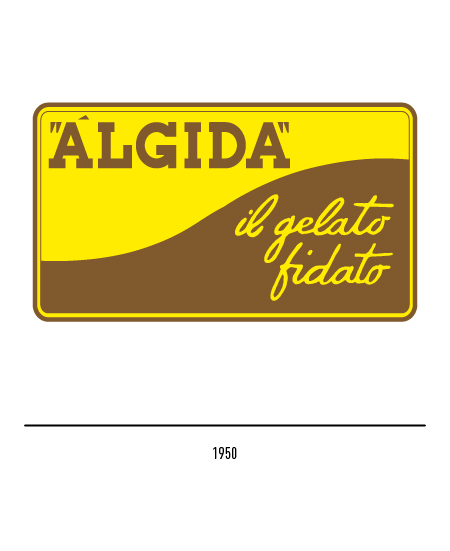 This historical brand of Italian ice-cream was established in 1964. 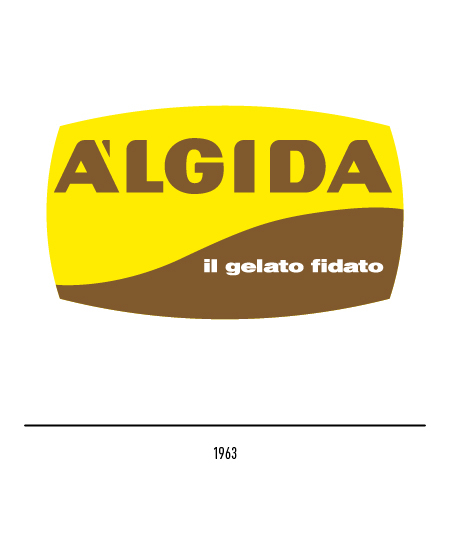 The name "álgida" with the accent on the first "a" derives from the Latin word "algidus" meaning cold. 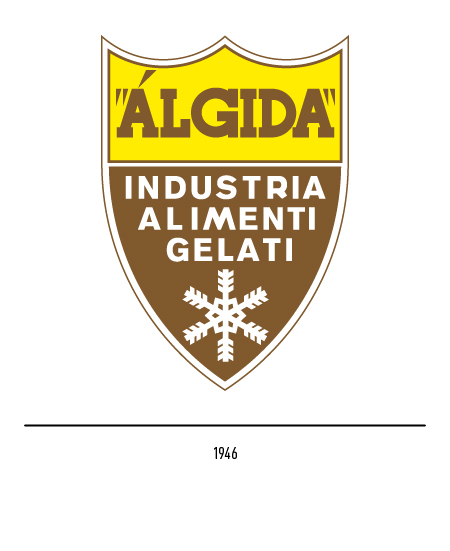 The first trade-mark consisted of a shield inscribed with the firms name and depicting a snow-flack. 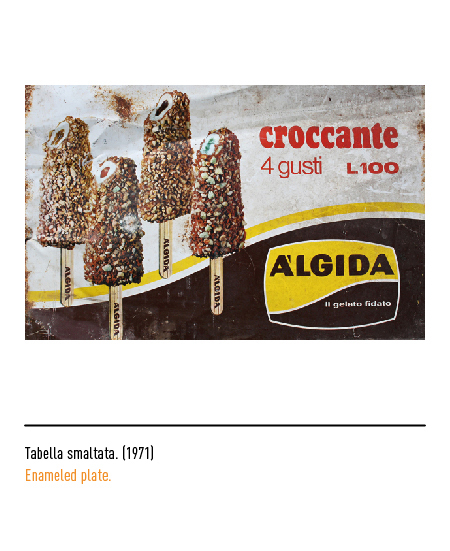 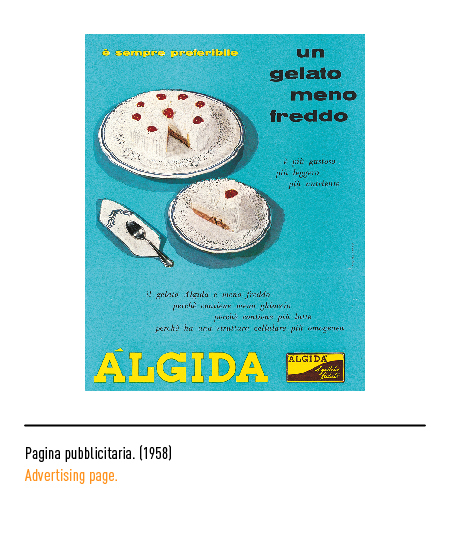 In 1950 a new trade-mark was designed by Enzo Mazzilli characterised by a twisted ascending line separating the two colours with which the counters of the first factory-made Italian ice-cream were painted and which were to become a symbol of the age. 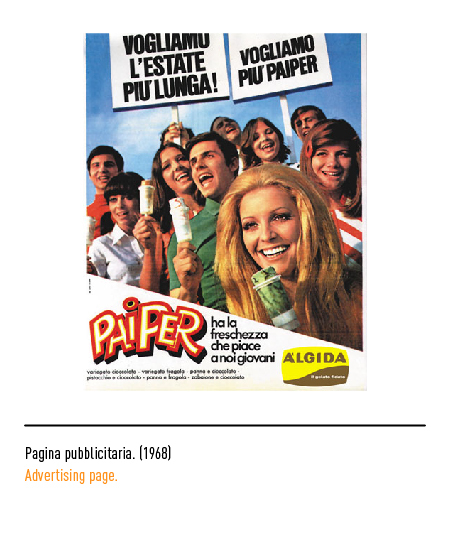 There was also a unframed version of the trade-mark with the slogan in white lettering. 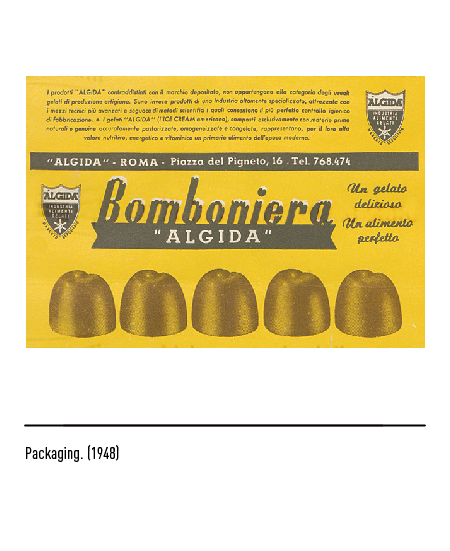 The base colours yellow and brown were meant to be reminiscent of the two traditional flavours cream and chocolate. 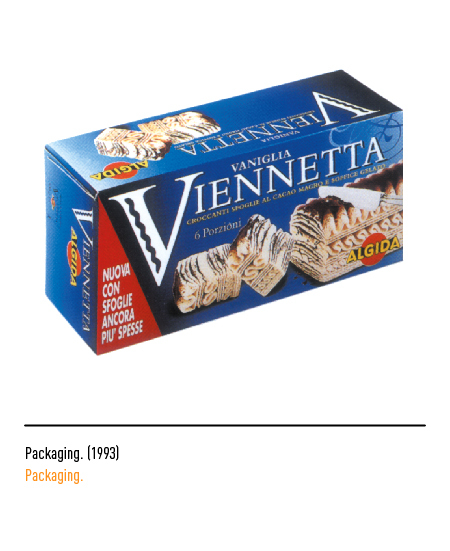 During the boon years of the sixties the brand attained great levels of popularity. 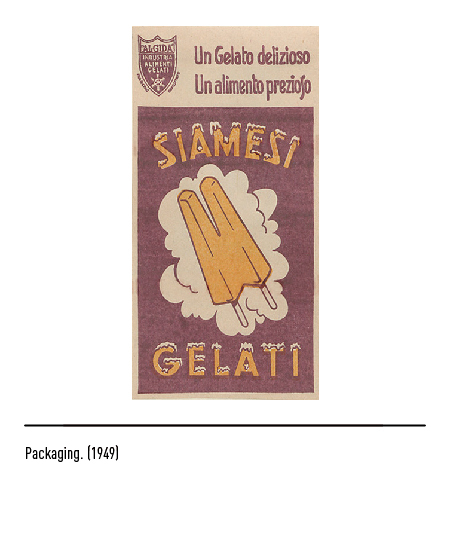 In 1963 the trade-mark was slightly changed. 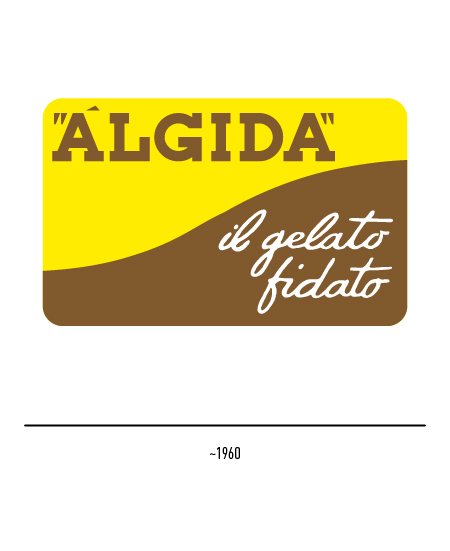 The logotype featured slender lettering and rounded sides but the original form and colours were maintained. 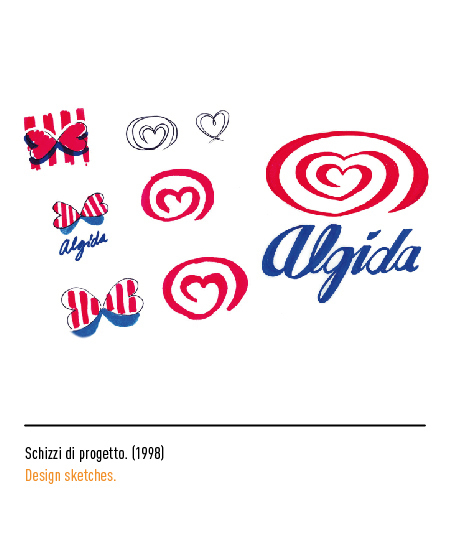 A new trade-mark was designed in 1983 by Bob Noorda. 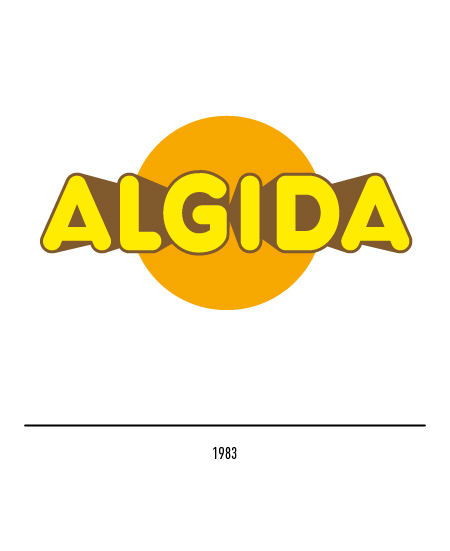 With an orange sun as its central motif and 3-D lettering outlined in brown the new device was an effective short-hand symbolic rendition of Algida's chief values, namely summertime, freedom, and care-free vacations. 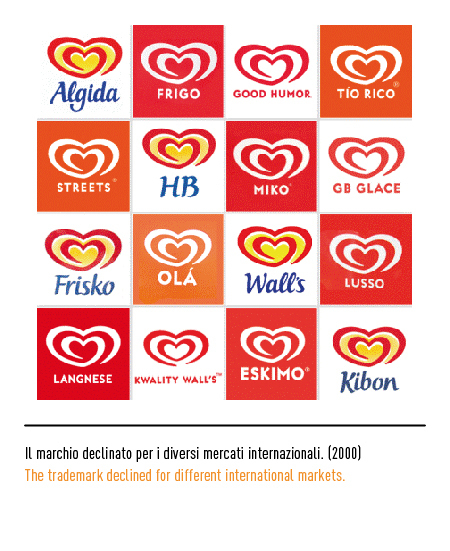 The overwhelming process of market globalisation breaking down national barriers has induced the company to strive for greater uniformity regardless of the single markets where it operates. 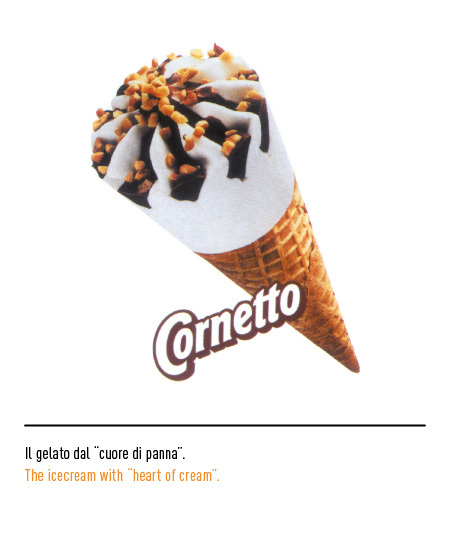 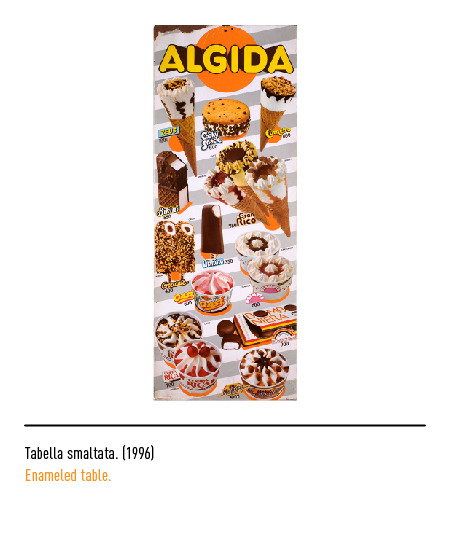 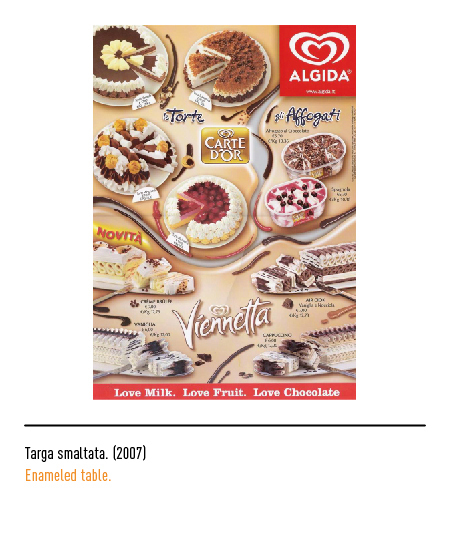 For this reason, in 1998 a universal trade-mark was adopted inspired by the famous slogan used for Álgida's drum-stick cone ice-cream, "cuore di panna" (heart of cream). 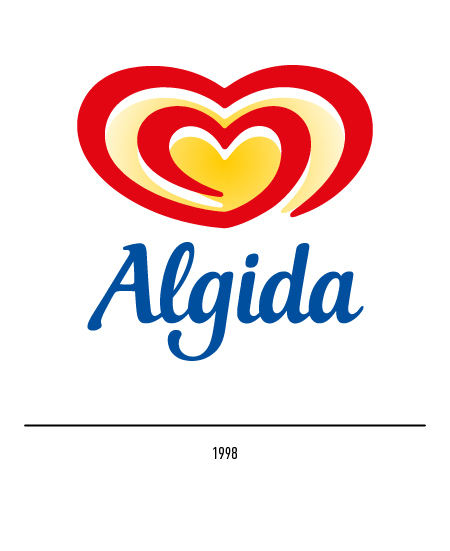 In fact, the trade-mark shows a double stylised heart formed by a single spiralling red line on a yellow background. 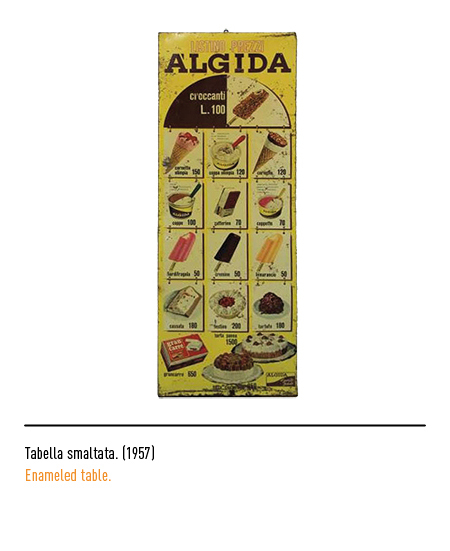 The typical summertime colours also suggest the heat from which the ice-cream affords relief. 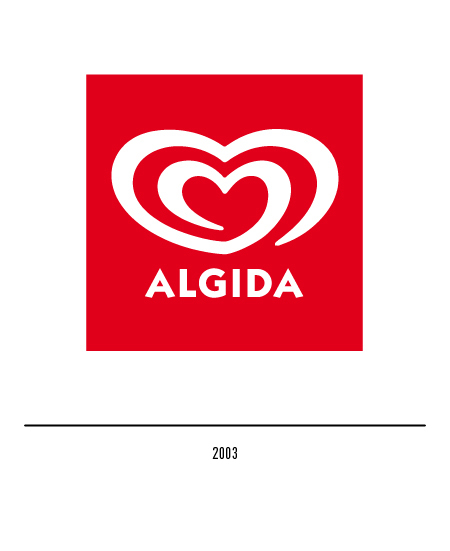 The logotype is characterised by calligraphic blue lettering; in 2003 a new restyling with replacing of only the ITC Kabel font.